When I put On the Road on my Classics Club list, I knew little or nothing about the Beat Generation, except what I picked up living in San Francisco for a few years. 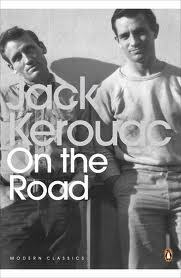 Still, Kerouac is one of those literary icons I don’t feel complete without reading. This book came up as my Classic Spin book for March-April, which means it was picked randomly from my list as the next book I read. Which is good, because I had to force myself to read this book. ~ by redheadedw on April 15, 2013.